The folks over at Illumination Entertainment animation studio sent me a sweet announcement about a trailer release ... this cookie with a message in frosting noting that Dr. Seuss' THE GRINCH will be arriving at movie theaters across the USA on November 9, 2018 along with a postcard announcing the film's trailer was available now to see. Illumination did a wonderful job transforming the story of THE LORAX into a movie which my family owns as part of our home entertainment library and regularly watches over and over again. 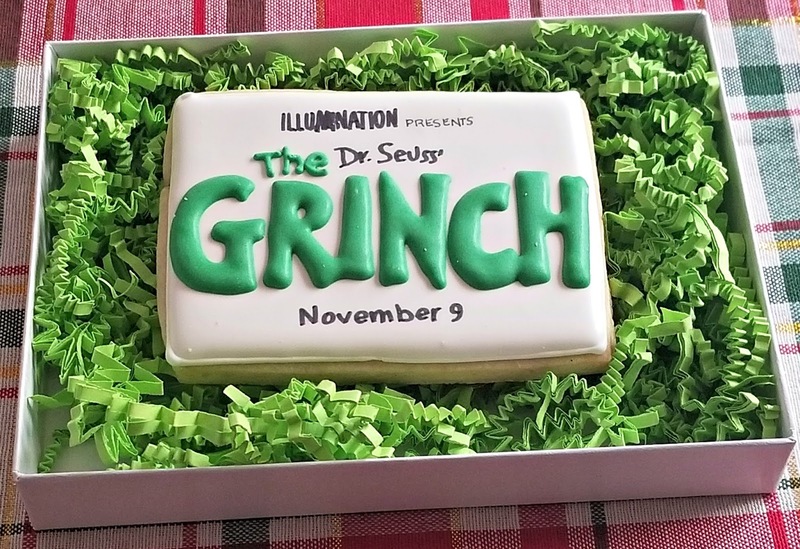 So we are all excited to see the studio bringing another Dr. Seuss story to the silver screen. Obviously, with its Christmas themed story this movie is being released to be enjoyed during the holiday season. 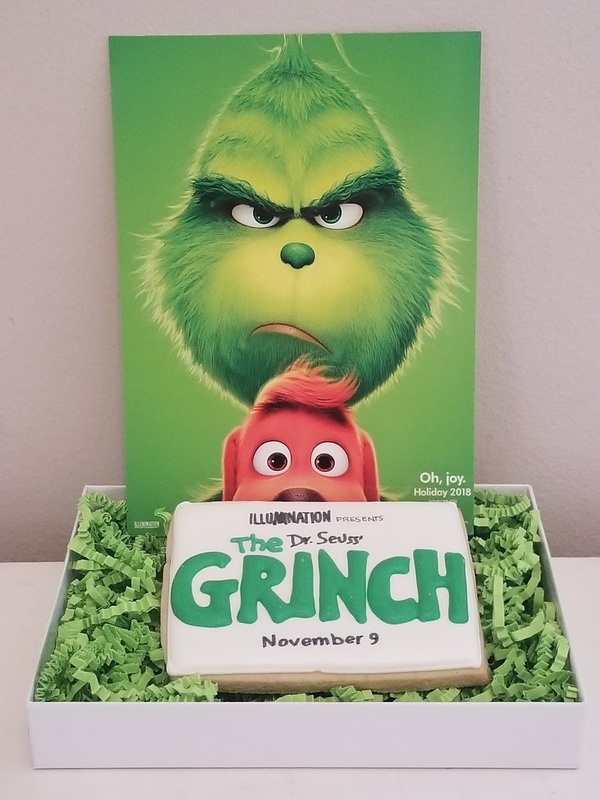 Based upon our enjoyment of previous Illumination animated features, THE GRINCH is a movie that my family is absolutely going to be looking forward to seeing when it arrives at theaters. For more information, visit the movie's official website grinchmovie.com.